A week from today dozens, if not hundreds, of Vermonters will begin a five-day sacred walk for climate justice. Organized by 350VT, the Next Steps walk covers over fifty miles from the town of Middlebury to the state capital in Montpelier. In keeping with the imaginative and artful theme, locals have been getting together to make artwork for marchers to carry and wear. There’s still time to get involved, both in the Next Steps walk and in the art-making! To register for the walk, visit the Next Steps web site. 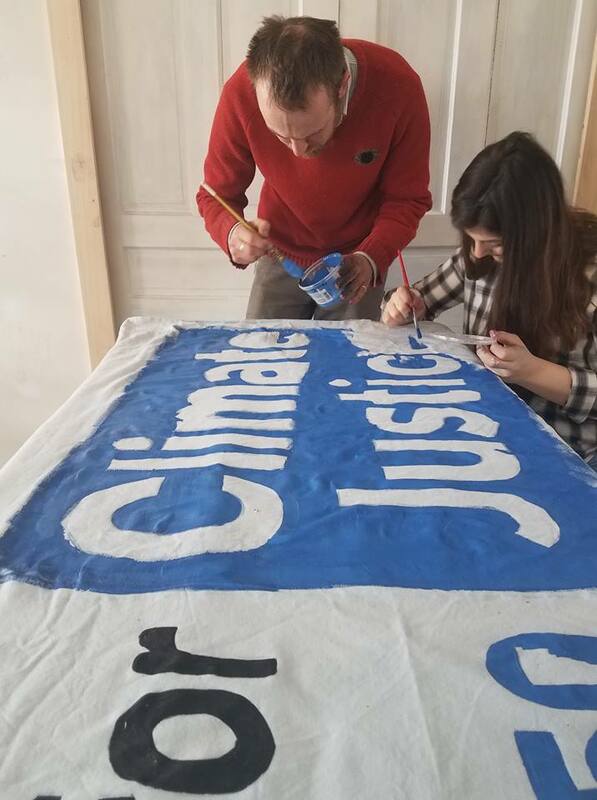 If you can, please bring old sheets for fabric, old corrugated or other plastic campaign signs to cut up, and a shirt if you want to paint on one!